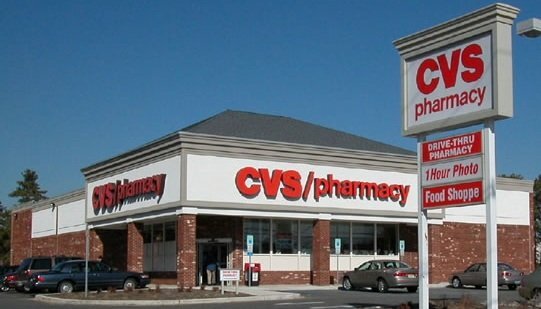 The first thing you want to do before shopping at CVS is to sign up for their ExtraCare Card! Without this card you won’t be able to get the sale prices and/or EB that will print out on the end of your receipt when you buy qualifying products. Just visit your local store and sign up – you’ll get your card immediately! Here’s a few more things you’ll want to sign up for at CVS as well as some important tips. Register your ExtraCare Card at cvs.com HERE. They’ll send you great coupons via email and alert you to special deals! Registering your card online will also give you access the the “ExtraCare” area where you can track your quarterly spending and your Beauty Club purchases. Sign up for the CVS Beauty Club! You’ll get a one time 10% off your order shopping pass (excludes sales/clearance items), $3.00 EB on your birthday and $5.00 EB for every $50.00 in qualifying beauty purchases (BEFORE coupons) you make. The $50.00 doesn’t have to be in one transaction. Your card keeps track of your purchases and when it reaches $50.00 you’ll get your $5.00 EB. There is a long list of qualifying products such as hair care products, cosmetics, skin care, fragrances, hoisery & more! Just visit your local CVS or sign-up online HERE. You might want to check our post HERE to view all the qualifying items. If you get prescriptions filled on a regular basis you’ll want to sign up for the CVS Pharmacy & Health Rewards. Earn credits for getting prescriptions filled, getting a flu vaccination and more! For every 10 credits you’ll earn $5 ExtraBucks! If you’re a diabetic or diabetic caregiver you need to sign up for the CVS ExtraCare Advantage for Diabetes program. You’ll get extra store coupons (for Colgate toothpaste and others) from the CVS scanner and occasionally special perks. Scan your Extra Care Card at the coupon machine EVERY time you visit CVS. Scan it more than once per visit. A lot of times it won’t print out all of your available coupons the first time you scan your card, so scan, scan, scan LOL! If you live close to your CVS I recommend scanning your card more than once per week. I have often scanned my card on Sunday and then again on Tuesday or Wed. and have gotten different coupons! Find out what day of the week your CVS gets their shipments in. This is important to know if the “hoggies” have hit your store and cleared the shelves. Frequently they will have more sales items in that shipment and that way you can get them when they come in. If the shelf is bare, you can always ask if they have any in the back. Sometimes they just haven’t had time to bring it out. Always get a raincheck for any item that they are out of. CVS will give you the sale price and any EB associated with the item when it comes in, even if the sale is over when they restock! Rainchecks NEVER expire and you can use them at any CVS location. CVS ads start on Sunday and end on Saturday. We normally have the weekly matchups posted early Saturday morning for new deals starting the following day. For more specific information on ExtraBucks and how to roll them to maximize your savings just click Understanding ExtraBucks (EB).